The last couple of years, I have used a lot of substitute products to start living a better life. One of those happened to be stevia sweetener in replace of sugar. I've used it in my drinks and also when cooking and I have to tell you, my family has not noticed the difference and neither have guests who come over for gatherings. I've talked about Pure Via on the blog before last year when I got to try their stevia sweetener and made Watermelon Popsicles with them. and now they have stepped it up a notch by adding a liquid sweetener to their collection. I was sent a bottle to try and I have to say I was pretty impressed with it. It's sweetened with a natural sweetener made from the pure extract of the stevia plant. You can use this liquid sweetener in hot and cold drinks. I've been using this in both my morning coffee and afternoon tea over the last week and I find it very easy to use. A couple quick squeezes and I had the perfect amount of stevia in my coffee that equals up to a teaspoon of sugar. It has zero calories in it, so you don't have to feel guilty to adding it to sweeten up your beverage. I also love how you can take this with you on the go. It fits perfect in your purse, gym bag and your backpack. I love that you can take it with you anywhere and it doesn't take up much room. This is perfect for those times when you're going to someone's house or even at a restaurant to replace the sugar in your beverage so that you can enjoy your drink guilt free. 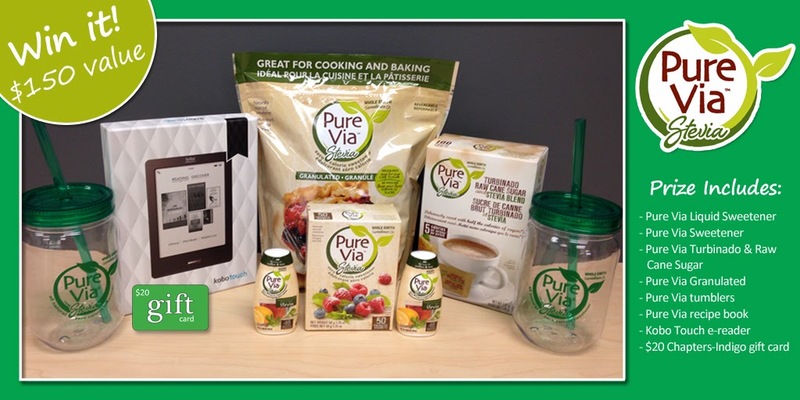 One lucky Canadian reader of Just Us Girls will win a Pure Via Prize Pack valued at $150! Disclosure: All opinions are my own. 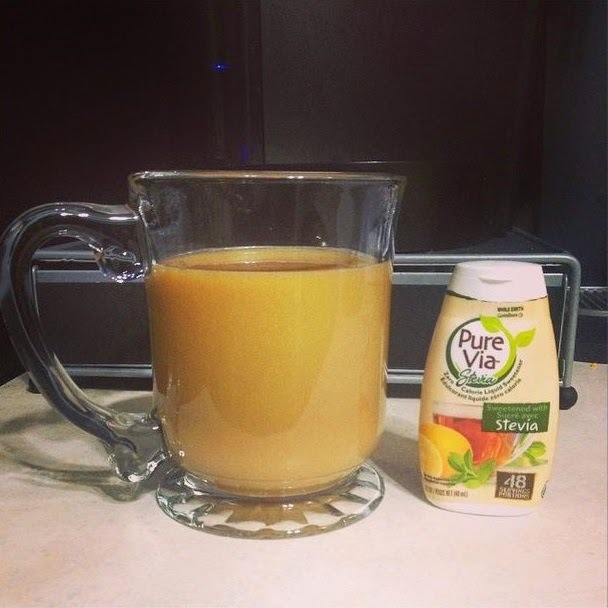 I received Pure Via Liquid Sweetener at no cost for the purpose of this review. No other compensation was received.